It starts out as the Large Pointed. We spice it up a bit and then put back into the oven for the grip holes. This is just about the strongest tactile experience you will ever have with a pick. Also a fantastic mandolin pick. 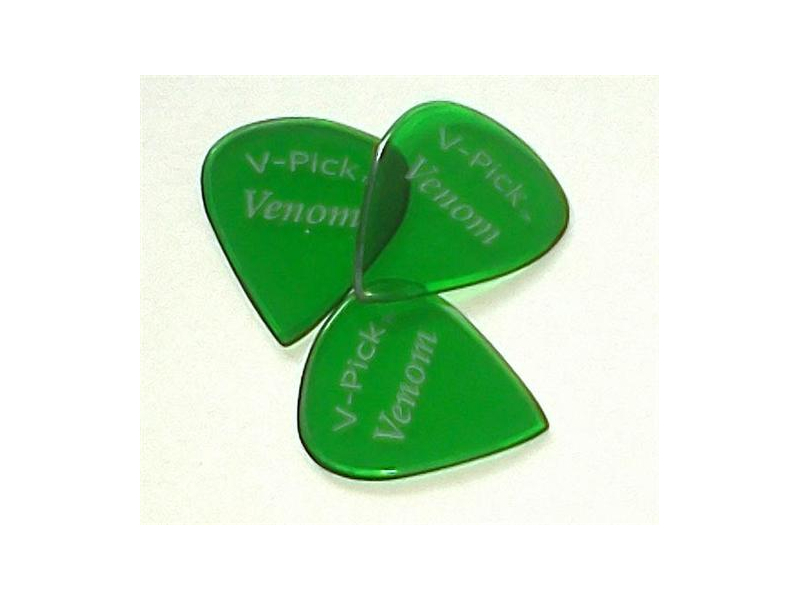 I have had many old timers come to our NAMM booth and say they LOVE the Large Pointed V-PICKS on their mandolins. One old guy said “I only play Hawksbill Tortoise Shell picks. But this one is the stuff!” and he held up a V-PICK for all to see. 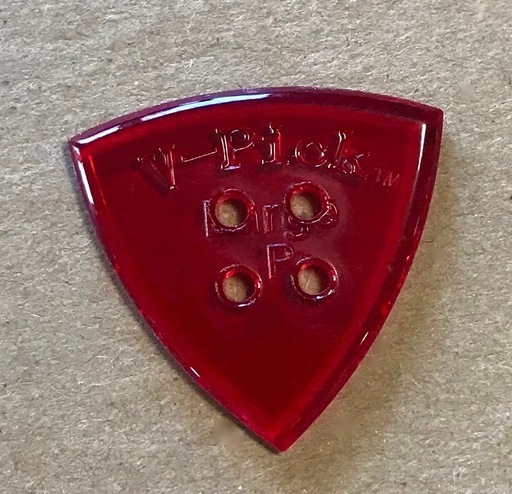 NOTE: This pick starts out it’s life as the Large Pointed, so you will see the Large Pointed name mixed in with the holes.